Dishonored came out two years ago. So, you'd be forgiven for forgetting how splendid Arkane's Victorian stealth game looked. 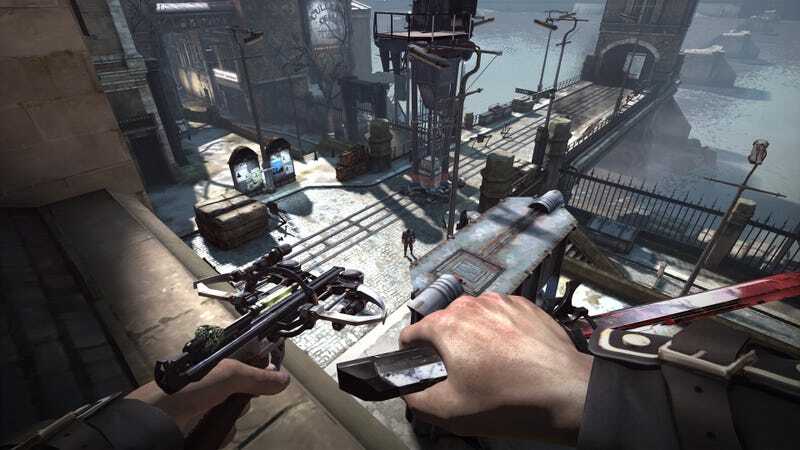 But, thanks to the glory of screenshots done up in 4K, you can marvel at the design of Dishonored all over again. The thing about bumping up the resolution of a game like Dishonored is that you can better appreciate all the little details that make its gameworld feel like it has a history. Yeah, the characters' faces don't look as amazing as the environments in these shots but it's the space you're moving through that creates so much of the mood in games like this.